Christian Benteke concedes he let his Crystal Palace team-mates down when he ignored instructions and took the penalty which he then missed in the 2-2 draw with Bournemouth. The striker, still to score in 12 appearances this season, defied those around him when Palace won a late penalty to take it instead of Luka Milivojevic, who had already converted one in the 41st minute. His miss cost Palace two points that would have lifted them out of the Premier League's bottom three before visiting Leicester on Saturday, and it is for that reason he apologised to his colleagues and boss Roy Hodgson. But Benteke does not feel sorry for himself, even though he feels his performances have deserved goals. He also recognises he underperformed last season despite being a more regular goalscorer, and while being relieved at Tuesday's defeat of Watford, insists it means Palace travel to Leicester with confidence. "I spoke with the manager first to let him know what really happened, because I just wanted to clarify things with the TV and all of the media talking," the 27-year-old Belgian said. "Then I spoke with the guys and I told them I don't feel sorry for myself, but that I let the team down because we are obviously battling relegation and every point counts for us. "I said I will keep working hard for them and for myself. "I just wanted to take my responsibility (with the penalty). I don't feel sorry for myself - it happened. "There is no issue - it is football and it happens. We have to stick together no matter what. "It is a tough time. As a striker you want to score, but I just work hard for the team and try to hold up the ball and play, and the goal will come. "I don't ask a lot of questions of myself, I just accept it is a tough time and work hard and try to help the team. The goal will come." Martin Kelly is expected to return to Palace's starting XI in the absence of the injured Joel Ward and Timothy Fosu-Mensah, while Scott Dann and James Tomkins will continue in central defence with Mamadou Sakho also still injured. 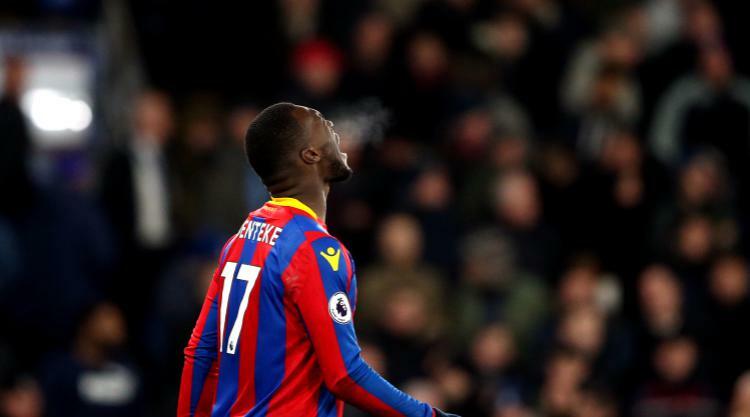 That Palace visit Leicester with their hosts in fine form presents them with a significant challenge when Saturday had previously offered a kinder fixture, but Benteke is convinced their own improvement gives them belief. "We are far away from being safe," he said. "It will be a battle until the end. Now we are six games unbeaten and we go to Leicester with confidence. "Watford was a team we felt we could beat and we did - now we can go to Leicester and try and get the three points. "I am determined. Last season I was playing not that good but scoring, this season I have played well but just can't score. I am really motivated though, because it is a challenge."